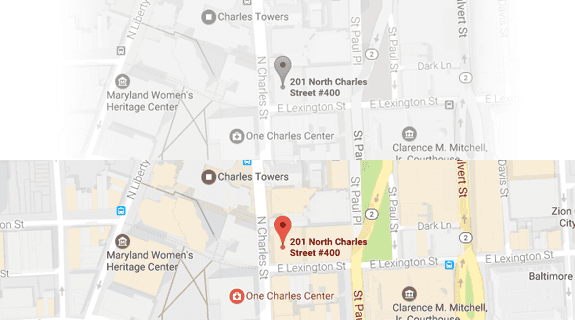 What is the Penalty Structure for Traffic Offenses in Maryland? In the aftermath of a car or truck accident in Maryland, the authorities will begin an immediate investigation to determine whether a traffic offense occurred. If the driver who caused the accident violated any traffic regulations under Maryland law, then there is a definite possibility of criminal or civil penalties, including monetary fines and driver’s license suspension or revocation. In the case of more serious traffic offenses, such as driving under the influence (DUI) of alcohol or drugs, there is even the possibility of prison time. Maryland Code of Transportation Section 27-101 provides the general penalties that a driver could face for violating state traffic laws. In most cases, a traffic violation is a misdemeanor offense under Maryland law. If the driver is convicted, they will normally be subject to a maximum fine of $500. Punishable by a civil penalty under Maryland law. Any other penalty or restriction imposed by a valid statute or regulation. Maryland Code of Transportation Section 27-103 details the penalties for failing to pay traffic fines. 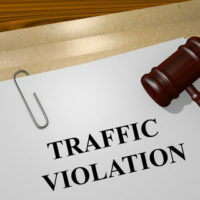 If a driver fails to pay a required fine for a federal or state traffic violation, then the state courts will file a report with the Motor Vehicle Administration (MVA). Upon receipt of such a report, the MVA will provide the driver in question with 10 days to pay the required fines. If the offender does not take action within the 10-day timeline, the MVA may suspend that person’s driver’s license. Once that person pays the required fines, then they can regain their driving privileges. Third or Subsequent Conviction — A prison sentence ranging from three to four years and criminal fines between $3,000 and $4,000. If have legal questions about criminal penalties stemming from a traffic offense, car accident, or truck accident in Maryland, it can be extraordinarily helpful to seek counsel from a skilled criminal defense attorney. The attorneys at Iamele & Iamele, LLP in Baltimore, Maryland, have specific experience in the field of criminal defense, including penalties resulting from traffic offenses as well as car and truck accidents. If you need legal help, contact us today for a free initial consultation.